Recently I read The Good Earth By Pearl S Buck and Gone Girl by Gillian Flynn, almost back to back. While the novels have their share of differences, they both elicited one common theme—not all marriages are fairy tales. 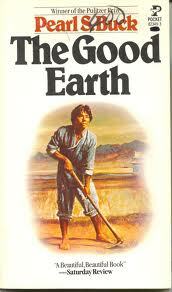 The Good Earth was my second go-around. I can’t recall if I read this in high school or college, but I’m thinking it was college, because I remember dissecting the symbolism like a dedicated English major. The Pulitzer prize winning tale, with its fable-like narrative, takes us through the the journey of Wang Lung's life in a revolutionary China (circa 1900ish) as he tranforms himself from poor farmer to wealthy landowner. Along the way, we see how he takes his wife, Olan, for granted, who has been pivotal to Wang Lung's success. Strangely, the first time I read this, I was quite affected by the theme of the earth providing for Wang Lung. And I hadn't even come from a farming family at the time! But I remember being a bit enamored by the idea of the earth always giving Wang Lung solace as he built his fortune...especially once the unsavory ramifications of his wealth appeared at his doorstep (laziness, greed, boredom, lust). Now, it so happens I'm a farmer's wife. And while Olan and I have quite different plights, I'm even more intrigued with her character from a feministic perspective. Before I re-read the book, certain scenes were stained in my memory: Olan working in the field the same day she had her second baby, her reaction to her husband's building a new room for the arrival of his mistress... Olan spoke few words, yet she stood as one of the most formidable characters in the book because of her resourceful behavior–and she also seemed to symbolize all that was good about Wang Lung. Most writers don't depict their characters as all good or all bad. (Although, there are probably a few pure evils out there.) So, even though Wang Lung certainly had his faults, I never saw him as a monster—merely a product of his culture, right or wrong. I also thought his longings and desires probably weren’t so different than many of our modern man. And I began to consider...how many men in today's world are made because of a partnership with their wife? Especially in agriculture? This leads me to my next book—which has nothing to with agriculture, but it definitely centers around a marriage. 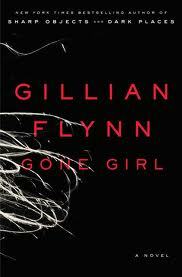 Gone Girl opens up with Nick (wistfully, perhaps?) thinking about the shape of his wife’s head. We quickly learn that she’s gone missing. But something’s just not right. Is he involved or not in her disappearance? We alternate between Nick's thoughts and Amy's diary—beginning with their courtship. It all seems very fairy tale! We wonder if Nick could possibly be involved in a nefarious plot to rid of her. I won't spoil it. 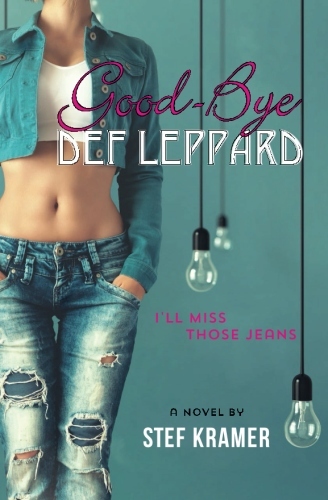 I'll just note that the book has no fable-like narrative, but it’s compelling alright. And it's obviously no historical fiction, but a pretty good modern day page-turner. So, here’s where I find the comparison to The Good Earth: no matter how strange, or dysfunctional you might think Nick and Amy's relationship ever was, Nick depended on Amy to define him—or make him what he was…which is fairly similar to Wang Lung, even if he never articulated it. It just goes to show…marriage is a fascinating, sometimes terrible, often wonderful, but always absorbing theme to read about—no matter what genre or time period you happen to choose.